What kind of upholstery do you prefer for your dialysis patients? Let our products inspire you! 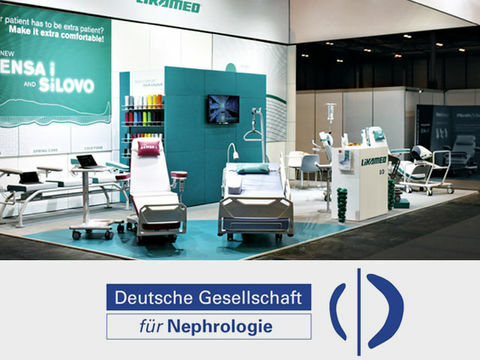 Visit us at the 9th Annual Meeting of the German Society of Nephrology from 14 to 17 September 2017 in Mannheim. Talk to us at booth 320, 3rd level in the Congress Centrum Rosengarten in Mannheim. If you would like to arrange an appointment in Mannheim or a guided tour in Eppingen on the 14th and 17th of September 2017, please do not hesitate to contact us, we will organize for you. Experience live our therapy chairs and medical beds production and convince yourself of our quality.